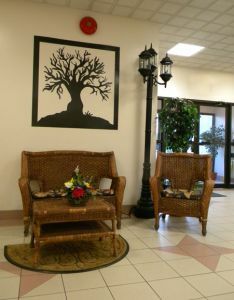 The Columbus Community Centre provides facilities for special occasions. Tickets Now Available for New Years Around The World! Click here to view the evenings menu of many authentic and delicious foods from around the world! Our Wedding Packages provide the perfect setting for your Special Day. Your input and design ideas make it a complete personal package. Choose your own colour theme as well as table setting and centre piece design. The Prince George Knights Society is the governing body of the Columbus Community Centre. Hosting the traditional "Free Family Day" at Lheidli T'enneh Memorial Park. Held each BC Day it is the Grand Finale for the Annual Truck and Trailer Raffle. Visit the BC Day Page for full details, and previous winners. The Columbus Community Centre has been home to Teeter Tots Early Learning Centre since 1997. Providing outstanding daycare and after school care programs. Our fully trained and experienced staff are the next best thing to home care. We provide shuttle service, structured curriculum, free play time, outdoor play, and exciting field trips. Visit the Teeter Tots page for more information. Christmas season is special at the Columbus Community Centre. Each year we host many company Christmas parties offering elegant dining with ease and convenience for the busy professional or business owner. Our New Year’s Eve Party is always a success and a good time for all. Dawna Varley, the event Coordinator has over 15 years in event planning and can help you design an event that will run smoothly, on budget and to your satisfaction. As a community centre we pride ourselves in giving back, with over 4000 hours of donated service each year. We have helped many not-for-profit clubs and organizations maximize their fund raising efforts through our commitment to community service, and quality events.